Toxin free, streak free window cleaner you can make at home! So simple to make and works great! Mix all ingredients into a spray bottle. 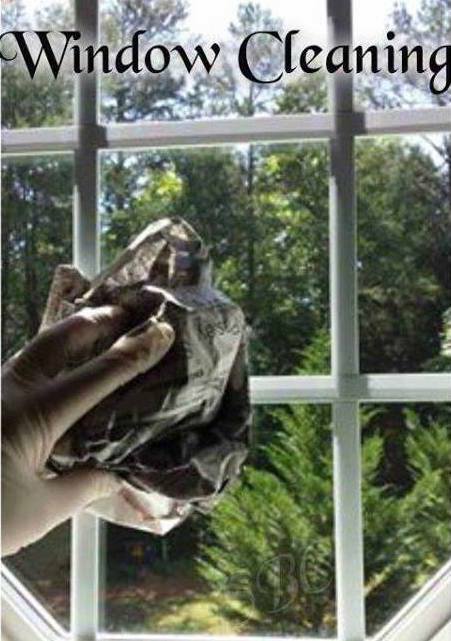 Spray onto window and using crumpled newspaper, coffee filters or a lint free rag, wipe the windows clean. (Note: a rubber glove will keep hands clean from newspaper ink). Be sure when cleaning the glass to also raise the window and clean the window seal and the tracks where the windows go up and down. I often use Q-tips to get into all of the crevices. Proper window cleaning is part of good home maintenance and will help your windows to keep an airtight seal.